TEANECK, N.J., Dec. 19, 2018 /PRNewswire/ -- The Cognizant U.S. Foundation, a non-profit organization focused on supporting STEM (Science, Technology, Engineering and Math) education and skills initiatives for U.S. workers and students, today announced it has made a $4.1 million grant to the National Center for Women & Information Technology (NCWIT). The grant will fund digital skills education programs and an awareness campaign designed to increase interest among women of all ages in pursuing technology careers. NCWIT is a non-profit community of more than 1,100 universities, companies, non-profits, and government organizations nationwide. With the Cognizant U.S. Foundation award, NCWIT will establish new specialized coding skills camps for girls and women, as well as training opportunities for professional school counselors, in communities historically lacking computing education resources and a technology workforce. Focusing initially on the south/southeastern U.S., NCWIT will launch programs in communities where it and/or the Cognizant U.S. Foundation have existing training partners, access to interested students and educators, and proximity to corporate internships and employment opportunities. By year-end 2019, these new programs are expected to directly benefit approximately 2,243 girls and women; by 2021, the fully established training network is expected to influence career opportunities for more than 13,000 individuals. In addition to creating awareness and helping program participants develop the digital skills necessary for employment, NCWIT will help with placement in digital economy jobs. "As of 2017, women held only 26 percent of professional computing occupations in the United States," said Lucy Sanders, Chief Executive Officer and co-founder, NCWIT. "To close this gap and fill an estimated 3.5 million computing-related job openings expected by 2026, we must make computing education accessible to all and attract diverse talent to the discipline. In doing so, a vast population with growing needs for technological products and services will be more equally represented in the innovation process. 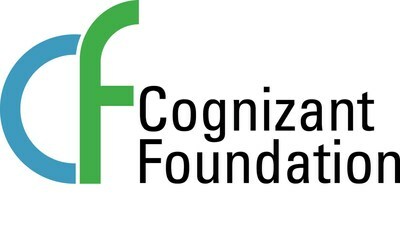 We are honored to have the Cognizant U.S. Foundation support NCWIT's mission of increasing the meaningful participation of women in computing. With their award, we are more equipped to extend our reach and create sustained change at the local level." "We're thrilled to partner with NCWIT, given their dedication to bridging the STEM skills gap – as well as the gender gap – within the technology industry," said Carol Cohen, board member and NCWIT award sponsor, Cognizant U.S. Foundation. "Studies show that the skills gap continues to increase for all demographics, yet it is clear the gap for women is widening more rapidly than for others. We're looking forward to supporting NCWIT in creating STEM career awareness, developing training programs, and leveraging Cognizant's own workforce to mentor and inspire women to pursue careers in technology." "We recognize diversity overall as a crucial competitive advantage in business today. Just as vital to the health and competitiveness of our nation's businesses is ensuring that American workers of all orientations are prepared to capitalize on career opportunities in the digital economy. The work being done through NCWIT is having a meaningful impact on the way women view potential careers in the technology industry, and their preparedness, and we are proud to be supporting NCWIT in advancing their mission," said DK Sinha, President, Cognizant U.S. Foundation. The National Center for Women & Information Technology (NCWIT) is a non-profit community of more than 1,100 universities, companies, non-profits, and government organizations nationwide working to increase girls' and women's meaningful participation in computing. NCWIT equips change leaders with resources for taking action in recruiting, retaining, and advancing women from K–12 and higher education through industry and entrepreneurial careers. Find out more at www.ncwit.org.